The media is currently awash with the changing face of world politics. And yet, there remains space for epic proportions of garbage to hit the headlines courtesy of the SMSM. Celtic are the shining light in Scottish football. Not just on the park, but in terms of business as well though don’t expect your local rag to tell you that. The array of businesman at Celtic over the years have been steering a steady course for over two decades. Despite an often disgruntled fan base, the board are to be applauded for the healthy position Celtic continue to operate in. This week, we’ve all heard the ludicrous headlines about Barrie McKay’s £6M valuation and that RB Leipzig want him. Well, the latter could be true but former is the kind of story that reeks of the Moonbeam years. Back then David Murray controlled the media. These days Murray is as dead as Rangers 1872 but there are still plenty of media representatives carrying out his work. That is his legacy. A lying deceitful media. This week Martin Hannan wrote in The National, an article which in part defended the media during the Murray era. I left a comment on that page stating that it was too late to justify the stance of the media be it bullying, readership loyalty or apparent cluelessness. The media may not be under the same control these days but you don’t often see the Rangers 2012 getting a bad write up in the papers. In fact with guys like Keith Jackson and co at the Daily Record keeping up the good work it isn’t surprising. Having said that one of Jackson’s colleagues (or is that former colleagues? ), Alan Clark, wrote a piece on Peter Lawwell running Scottish football. This was after Stewart Gimlour’s outburst on Sportsound, which I don’t listen to. No points for writing a back page article on a radio debate I’m afraid, Alan. Let’s talk about those Tweets of yours though. Peter Lawwell may be a king pin in Scottish football, but as Chris Sutton himself said: if Peter has so much power over other club chairmen, what does that say about those men? If it wasn’t for Celtic, Scottish football would be off the world football radar. In fact we’re only just about on it and that is largely down to Celtic and yes, Peter is a big part of that. If another club in Scotland wishes to emerge from the flock and do something they are welcome. The trouble is no other club has taken the initiative so if you are looking for leadership then Peter is by far the best man in the game at business level. Should his influence in the game be overpowering then it is up to the other clubs to challenge that. With a governing body like the SFA you need guys like Lawwell. This weekend we see the return of top flight teams to the game. The Scottish Cup dominates the fixture list but Celtic don’t play until Sunday. After a few weeks away, the importance is getting back to the sharpness seen earlier in the season. The players were looking tired toward the end of 2016 but a break in Dubai will have been a shot in the arm for Brendan Rodgers’ Bhoys. Eoghan O’Connell and Kristofer Ajer have both gone out on loan until the end of the season having not really featured since the summer months. Kris Commons has returned from his Hibs loan and Scott Allan’s loan spell at Rotherham ended in December. The question remains as to whether either of these players will feature in the remainder of the season. Commons is out of contract in the summer with no chance of a renewal but Allan is even more of an enigma. They aren’t the only ones wondering where their Celtic futures lay though. They are part of a large squad that Rodgers inherited which must also reduce in size. With just over a week left of the January transfer window left, I wouldn’t rule out further exits from Celtic. The club have also drafted in Ivorian youngster Kouassi Eboue from Krasnodar. A relatively inexperienced midfielder, we may not see too much of him just yet. He is obviously earmarked for next seasons progess but bringing him in now is the smart move. His arrival could well spell the end of other midfielders vying for a place, be that in January or the summer. The squad is bursting at the seams. Someone we might see returning to first team matters against Albion Rovers is Kieran Tierney. His absence has been adequately covered by Emilio Izaguirre but it will be good to see KT back in the fold. 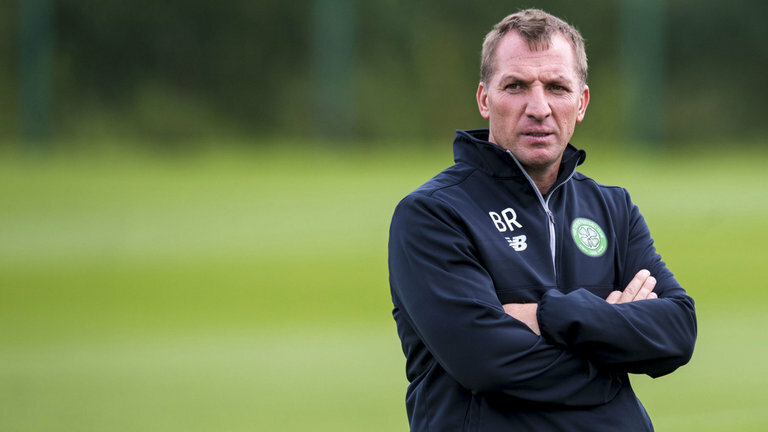 Tomorrow’s match is an important step for Brendan Rodgers. 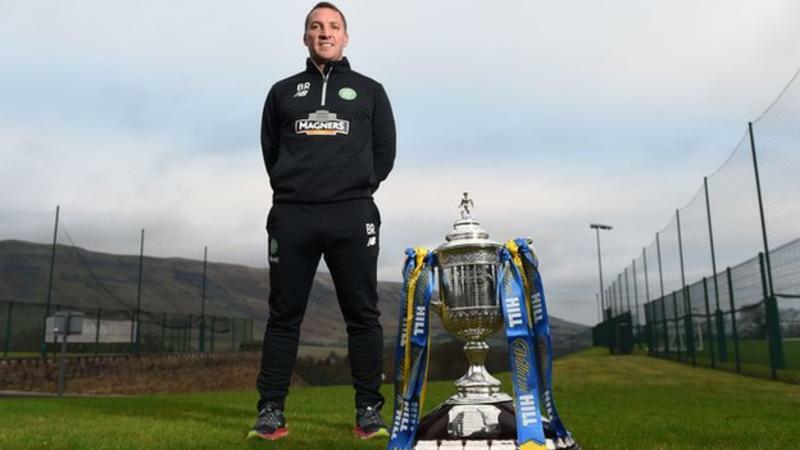 His aim is to bring a treble to Celtic for the first time since the Martin O’Neill era. There have been plenty of missed chances for Celtic to do this. Perhaps it is only reserved for the truly great managers. Celtic are edging closer to being a finely tuned engine. A few parts need replacing and there are too many spares, but things are running along nicely. Next season the team should look a lot leaner. Not so much the shape of the players, but the amount of senior players in the squad. As Brendan Rodgers let slip about the preferred number of players he would like to work with, there is no doubt that it will be his long term aim to reduce that figure. Right now though, he has a large squad to work with and that is what he must continue to do for now. In the days and weeks ahead of us in January we might see that number fall. By the end of the season it will undoubtedly drop. Gordon and Izaguirre are supposedly both set to sign new deals. I think that would be smart on both accounts at least for another season. There are other candidates in the squad though who despite having longer contracts will be thinking about their careers. Dorus De Vries, Logan Bailly, Dedryck Boyata, Scott Allan, Nir Bitton, Gary Mackay-Steven, and Nadir Ciftci all need to have decisions made on their Celtic futures. De Vries (36) and Bailly (31) are both competing for the one spot that Gordon (34) has just reclaimed. Even if Fasan (23) doesn’t get another contract, the goalkeeping position at Celtic is currenrtly oversubscribed. My personal thought would be to keep Fasan and Bailly and send De Vries packing. There is only one position and with the exception of Fasan, the postion in the team is ageing. Moving slighty forward to defence we have O’Connell, Toure and Ambrose. Ambrose should have been jettisoned a long time ago. O’Connell is a decent prospect who might be worth another contract. Toure on the other hand has come in and done a job and it sounds as though Rodgers might be keen to retain his services, at least on the coaching area where he is said to have been influential. Then there is Boyata. I’ve never been convinced by the Belgian defender at all. He hasn’t been missed in terms of what he has offered since his arrival. I would personally take the first offer that came in and I am sure there will be interested parties. Someone who may still have a chance is the young Norwegian, Ajer. He was signed in advance of of his 2016 summer move but has been way down the pecking order. A loan move might be his best option. That might all depends on the managers impression of him though. Despite a long wait to play under Brendan Rodgers, there is still a question mark over Mackay-Steven. He isn’t a bad player to be honest, but I wonder whether he will be anything more than a bit part player and if that will be enough for him. He has certainly weighed in with goals in his time at Celtic. With Patrick Roberts certain to return to Manchester City in the summer, it could well move GMS up the pecking order, but he needs to be playing for us to know his true worth. Scott Allan is another player who needs clarification on his future. His loan spell has ended and there doesn’t appear to be any more clues as to his role at the club. There are just so many midfield options right now and the club should never have got in this position in the first place. Allan was a regular at Hibs when Celtic bought him but he has barely seen the light of day in a Celtic jersey. He’s probably wishing he’d gone to Ibrox. Did we just buy him so they couldn’t? We’ve snapped up all these young guys under Ronny Deila but you can’t play all of them. Ryan Christie is champing at the bit and likely to have a Celtic future but even he is struggling to get in the team. And despite showing some real promise, Liam Henderson can barely get a game. He like many others though is still young and has every chance of making it at the club. Nir Bitton, an internationalist who had a purple patch a while back is currently a bench warmer. Celtic may even decide to cash in on him despite not really showing any desire to leave the club. The numbers tells us though that players will have to move on. Nadir Ciftci is probably right at the top of that list. Celtic haven’t played a regular two man attack for several years. With three senior players contending for one spot, Ciftci finds himself behind Moussa Dembele and Leigh Griffiths. He hasn’t shown any sign of making it at the club. He was a key player for Dundee United along with Stuart Armstrong and Gary Mackay-Steven but he has failed to impose himself as a Celtic player let alone have earned the right to wear the number 7 jersey. Even with all of those players covered, I haven’t even been able to talk about the youth players eager to show their worth. Ralston, McCart, Aitchison, Nesbitt among others. So it is quite obvious that as it stands, Celtic cannot operate with such great numbers. It doesn’t allow for all senior players to get a chance of getting on the teamsheet or the bench. More importantly, it doesn’t allow for youth to get a chance either. You can’t begin to imagine an influx of new players without saying goodbye to a reasonable amount of the current squad. Brendan has been patient, moved things around and introduced a few new players. Essentially though, the writing is on the wall for many others and he will know exactly who they are and why.